People in the food services sector appreciate the problems associated with hard water scale. Until recently, the options were to use salt based water softeners with all the secondary problems that entails, or use one of the "magic" electronic or magnetic systems that simply don't work very well, and in properly conducted tests rarely achieve even 50% efficiency. 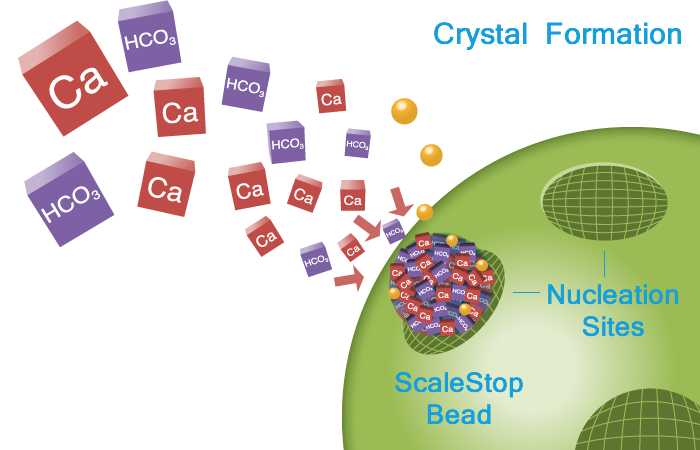 Next Scale Stop is an innovation based on a proven process known as Template Assisted Crystallisation (TAC) In simple terms this causes the scale forming crystals to stick to each other and not to metal surfaces. This process adds nothing to the water and takes nothing away. The calcium and magnesium removed by salt based water softeners are essential minerals for our well being, while the sodium added is suspected to aggravate certain cardiovascular health problems and contribute to weight gain. Next Scale Stop takes nothing from the water and adds nothing to it.... it just prevents scale. When you install a Next Scale Stop system rather than an ion exchange water softener, you protect ALL your kitchen and heating equipment, including coffee machines, ice machines, steamers, post mix, water chillers, RO systems etc. You can also protect boilers, instant water heaters, immersion heaters and hot water cylinders. With Next Scale Stop you can protect all of this equipment and eliminate the need for additional POU protection. With ion exchange water softeners you have to regularly regenerate the system with salt and backwash, which costs money, takes up valuable staff time and wastes water. The most common situation is that the salt regeneration is not carried out as often as it should be - and sometimes not done at all. It's one of those jobs that most people don't want to do and put off until tomorrow! Traditional POU equipment protection such as phosphate and cation resin cartridges have relatively low flow rates and short effective life with typical change out at 6 months or less. 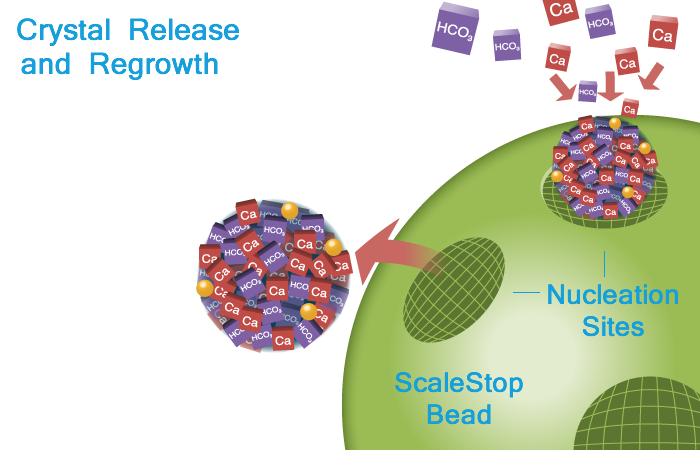 Scale Stop uses both cartridge and pressure vessel systems. For cartridge systems with water supply flow rates of up to 16 litres a minute continuous flow (that's 24/7/365) the recommendation is to change the cartridge annually. A Scale Stop replacement cartridge or media change in a pressure vessel costs less than the annual salt bill for a system of similar size, and change out periods can be extended if you have lower flow rates. A full range of systems from 1 litre a minute up to 1,800 litres a minute flow rate are available. Systems above 38 litres a minute flow rate, which are ideal for whole store Point Of Entry (POU) protection operate for 3 years between media changes. Next Scale Stop has Global approval with Marriott Hotels and McDonald's Restaurants and is standard protection on Concordia Coffee machines, Groen steam & combi ovens, Manitowoc ice machines, AO Smith, Rinnai and Noritz water heaters and with other hotels, restaurant and coffee chains, food services equipment and water heating manufacturers. All the commercial testing and approval is reinforced by independent third party verifications using the Internationally recognised German DVGW-W512 testing protocol for hard scale prevention. Under this test protocol, Next Scale Stop achieved a repeatable 99.6% efficiency rating.